In August 2015, I invited Evan Silva, fantasy football author/podcaster/expert, to speak to an audience at the Skokie (IL) Public Library (SPL). Silva, though well known in the fantasy football world, had never spoken at a library or similar educational institution and wasn’t sure why I would contact him. To me, the connection was obvious. Librarians help and teach our patrons to find the best information possible in order to make the best decisions possible. For example, we provide access and training to discover reputable medical resources so patrons can decide whether to have a surgery. Fantasy sports are similar, though they have lower stakes. Librarians can help patrons with decision-making by teaching them to find superior information in order to achieve the best results possible. My main goal in having Silva give this talk was to teach information literacy skills and connect the library to the idea of information literacy for an audience that doesn’t usually see us in that light. My other goal: to improve my chances of winning my league that year. Here is a quick introduction if you are part of the 79 percent who don’t play fantasy sports. You are the owner of a fantasy team, and you pick (“draft”) real players from various real-world teams in competition with other owners in your fantasy league. During the season, you decide who from your roster will play on your team (the “starters”) and who will sit on the bench. Players are awarded points on how well they play in the real world. For instance, if a starter on your fantasy team scores a touchdown in a real-world game, you will be awarded a certain amount of points. The fantasy team with the most points at the end of the season wins. The National Forum on Information Literacy defines “information literacy” as “the ability to know when there is a need for information, to be able to identify, locate, evaluate, and effectively use that information for the issue or problem at hand.”2 I interviewed Evan Silva and three librarians in my fantasy football league to illustrate the extraordinary level of information literacy skills needed to identify, locate, and evaluate information (and even to create fake news) to attempt to win a relatively meaningless but enjoyable game. You may not understand all the terms the interviewees are using, but that is secondary to discovering the significant amount of time and effort they dedicate to the game, along with the information literacy skills they utilize for it. Shauna Anderson, SPL young adult supervisor, fantasy football player for about four years. Mike Gershbein, librarian and owner of the website Very Smart People (www.vspchicago.com). Fantasy football player for about six years. Evan Silva, senior football editor at Rotoworld (www.rotoworld.com/playernews/nfl/football-player-news), the most heavily trafficked source for fantasy football news on the Internet. PL: Where do you get information to succeed? RK: Who said anything about succeeding? I haven’t won our librarians’ fantasy football league yet, though I finished in second place one glorious year (Author’s Note: Second to me—thank you Cam Newton!). I find most of my information online through sports news sites, but I will also go old-school and pick up a fantasy football preview magazine on occasion. ES: I get player news from NFL beat writers and do my own statistical breakdowns and keep records of things like tendencies of defenses to be exploited by offensive players in forthcoming matchups. I track target and touch data through box scores and use Pro Football Reference (www.pro-football-reference.com) to keep tabs on splits like home versus away and historical performance versus certain teams. I also use Pro Football Focus (www.profootballfocus.com) to assess how certain defensive players are performing and whether they might be attackable by offensive players. MG: I crowdsource. You can ask the fantasy community whether you should start a certain player and you can see what percentage of people in the league are starting that player. It’s the fantasy equivalent of a Twitter political discussion. In fact, I’ll sometimes research on Twitter, though much of that ends up being people bemoaning their starter’s horrid performance or injury. PL: How do you determine how much information you need? SA: Depends on the situation. During my draft prep, I keep researching until I can go through a couple of mock-drafts without feeling stuck. If I get to a point where I don’t know who the obvious choice is, then I need to keep researching. After a few years of doing this, I feel like I have to research less and less each year—you end up knowing who the obvious choices are for the first few rounds and spend more time researching sleepers for later rounds. MG: I read, digest, analyze, and ponder until a sense of zen washes over me and I realize that it really doesn’t matter who I start since they’ll probably have a horrible week once I start them. PL: How do you evaluate the information? ES: I evaluate the information by trying to focus on bigger sample sizes. Football is an inherently small-sample sport, however, with only 16 games, compared to a sport like baseball (162 games) or basketball (82 games). So I think we have to take all statistics with a bit of a grain of salt and use several data points to arrive at a final evaluation before we make a fantasy pick or a start-sit decision. SA: Does it jive with my previous knowledge of fantasy sports? For example, my first few years, I only ever researched using the information linked directly from the website where my league was signed up. It felt official and realistic and easy. Now that I have been playing for a few years, I can tell that there are subtle, yet important differences in how players are evaluated across the web. I also look to see who else is using certain tools and how well their teams are doing. RK: I go to some well-known, trusted sports news websites like ESPN or NFL.com. I will also look at when an article was posted to make sure I have current information. And then, sometimes, I will look at the writer to see if it’s someone I recognize and who has a decent track record of predicting success on the field. PL: How do you use the evaluated information effectively to attempt to win? SA: I look for tools and information that are easy to use/digest. If I find a source that is easy to search through and digest, and it aligns with my sensibilities towards the game, I will use that as a go-to source to help me patch my team. MG: Well, I’ve finished in ninth place the last two years so I’m not sure about the “effectively” part of that question. Ultimately you can only do so much. You start the best players and maybe the [real-world] coach benches them because of their bad attitude. Or maybe they get injured in the first quarter. Or they just have a bad day. Or most frustrating of all, your fantasy team performs great this week but you play against a fantasy team that played even better. Hard as it is, it’s best to try to not take it all personally. The universe is a tough SOB. PL: Do you create fake news to confuse opponents? If yes, how and does it ever work? If it worked, can you share the details? RK: Especially during the pre-draft period, several of us will throw out false information/news about players. For instance, we’ll talk up a player’s awesome potential knowing full well that he just suffered an injury or was recently suspended. Mostly, it doesn’t end up working because the rest of the league is up to speed with their fantasy football news. Once, I suggested that another manager pick up a player whom I thought was going to be good that year, but he didn’t listen to me because he assumed I was trying to trick him. It turned out the player performed well, and I believe that manager later picked him up on the waiver wire. MG: I’m not smart enough to fake out any of the wise people that I play. My son is constantly trying to make trades with me and while I’m sure he would never try to take advantage of his dad, I find it hard to trust that he has my best interests at heart. As the commissioner of my league, I find it important to operate with the highest level of integrity. With that in mind, my advice is to pick up QB Blaine Gabbert in the first couple of rounds. That guy is going to have a massive year. 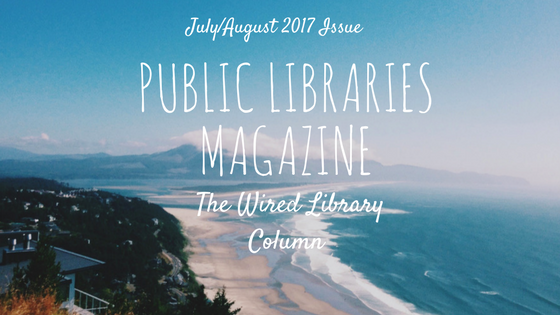 How can libraries capitalize on this unprecedented interest in information literacy as it relates to sports and other entertainment sources? Is it possible to position ourselves as fulcrums in this new world in which information literacy is important for social capital (fantasy football championships, Oscar pools, discovering music, gaming, etc.)? And, most importantly, are we able to teach how to transfer the skills honed through fantasy sports to other “less fun” literacies such as civic and health? It is evident our current path of information literacy education needs to be rethought. A good first step is broadening our scope of information literacy and building from our community’s strengths and interests–a “spoonful of sugar” approach. 1. Fantasy Sports Trade Association, “Industry Demographics: Actionable Insights & Insightful Data,” accessed Aug. 14, 2017, http://fsta.org/research/industry-demographics. 2. National Forum on Information Literacy, “What is the NFIL?” accessed May 3, 2017, http://infolit.org/about-the-nfil/what-is-the-nfil.